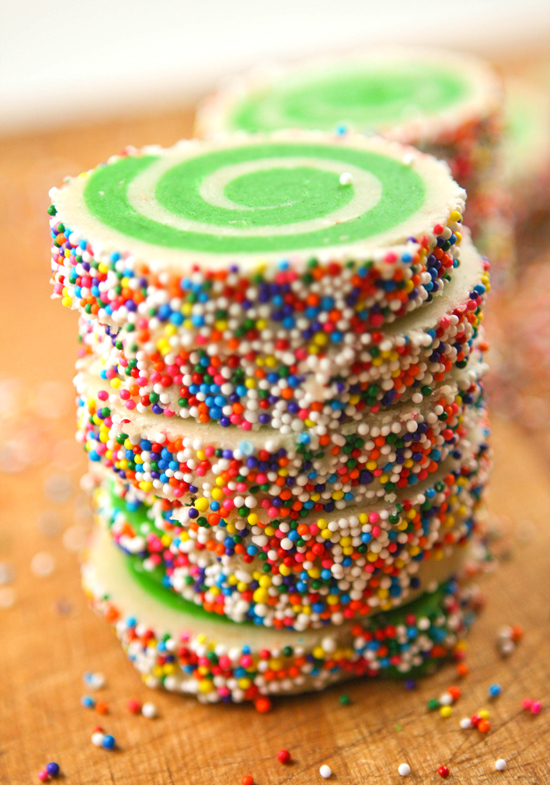 Spiral Sugar Cookies Recipe — Pip and Ebby - easy, delicious recipes! Say goodbye to boring and hello to sprinkles and color! 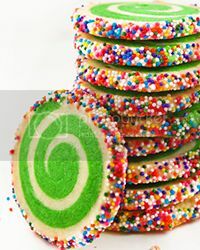 These cookies are so fun. Use different colors to match your occasion. Red for Christmas, pink for a girl party or blue for pool-side snacks. They’ll make any occasion brighter and fun! Not only are these pretty, but they are also deliciously tasty. They were by far my favorite of all the cookies I brought to our Christmas Eve gathering. And you can imagine how much the kids enjoyed them! I heard someone say, "Ooo, look! A Grinch cookie!" The green swirls do strangely remind me of the Grinch's long, swirling fingers. 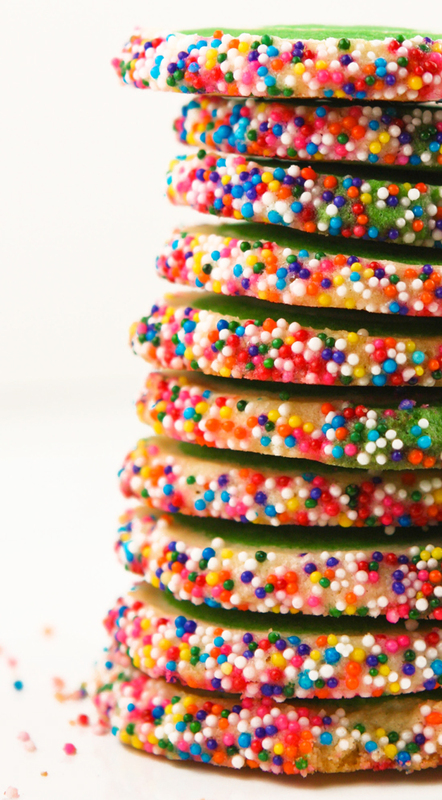 These festive cookies are great year round and will be a hit! In a food processor, combine until completely mixed. Add 2 1/2 sticks unsalted butter (cold and cubed) into the mixture and process until the mixture has a cornmeal consistency. You’ll add 1 teaspoon vanilla extract and process until the mixture just forms a ball. It will still be somewhat crumbly at first. Roll out each half of the dough between sheets of wax paper into an 8x11-inch(ish) rectangle, with a 1/4-inch thickness. I used a piece of paper as a guide. Leaving the wax paper on the dough halves, stack on a baking sheet and refrigerate until firm, at least 2 hours. Pour 1 cup of multi-colored sprinkles in a shallow rectangular dish. Remove the dough from the refrigerator and peel off the top pieces of wax paper from each half of dough. Flip the colored dough half over onto the white dough half so that dough is touching dough. Remove the top sheet of wax paper and trim the long edges with a sharp knife so that the sides are straight and parallel with one another. When the dough becomes just pliable, roll it into a log beginning with a long edge. Gently curl the edge with your fingertips and do your best to avoid creating air pockets. Carefully lift the log into the decor-filled dish. Gently roll it around until the outside is completely coated with color. Wrap the log in plastic wrap and refrigerate until firm enough to slice, at least 4 to 6 hours. Enjoy these! And thank you, Sprinkle Bakes, for such a fun and delicious recipe! You made these tasty show-stopping cookies so be sure after they have completely cooled to place them in a air-tight container or a ziploc bag. You can enjoy them over the next few days if you can keep your hands off them! 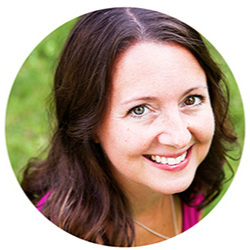 Check out some of my other favorite, super-fun recipes! Roll out each portion of dough between sheets of waxed paper into an 8x11-inch rectangle, with ¼-inch thickness. Stack the dough, leaving in the wax paper, onto a baking sheet and refrigerate until firm, at least 2 hours.